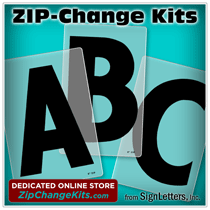 Flat-cut sign letter products are produced by cutting your design from a flat sheet of high quality material using extremely accurate Water-Jet cutting equipment for metals & laser equipment for acrylic letters. 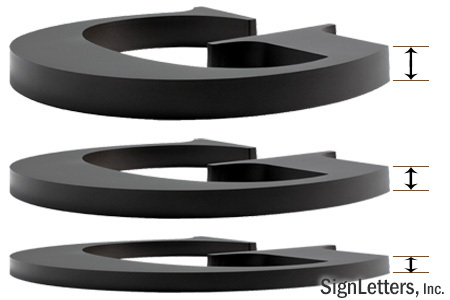 The raw material thickness will obviously determine the visible "depth" of the finished sign letter product. There are also some mounting options which are simply not available on thinner letters. There are several depths available to you (see your choices below).